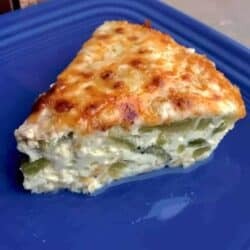 Pressure cooker Keto Low Carb Poblano Frittata is as good for breakfast as it is for dinner. A very popular way to make an easy keto frittata in your Instant Pot or Pressure cooker! Plus it’s stupidly easy. Watch this video to see how easy it is. No-Bake Keto Peanut Butter Chocolate Bars will satisfy all of your dessert cravings with almost none of the sugar. Low Carb, low sugar, high fat Peanut Butter Bars make a perfectly delicious keto dessert or fat bomb. Choosing an Instant Pot can be both exciting and confusing. 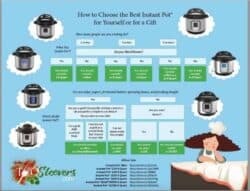 So many models, so many sizes, so many lovely choices, how do you know which Instant Pot is right for you? Whether you go with the LUX, the DUO or the Ultra, the Mini, the 6 quart or the 8 quart depends on how you plan to cook, and for how many people you cook, and whether or not you like leftovers. No need to miss beans on a Keto Low carb diet! These use a secret, low carb bean that tastes fantastic! 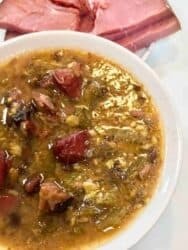 Instant Pot low carb ham and bean soup. Watch and see how easy it is to make this soup. Watch to learn how to make a quick spicy creamy chicken soup in your Instant Pot or Pressure cooker. 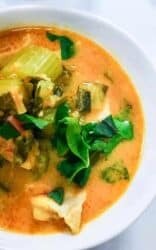 Pressure Cooker Low Carb Spicy Creamy Chicken Soup mixes together pantry ingredients for a last-minute homemade creamy chicken soup that’s simply bursting with flavor and yet manages to be dairy-free and keto. This video shows you how to get perfect pressure cooker rice. Many people seem to struggle with getting perfectly cooked rice in the pressure cooker. After much experimenting, I have identified the optimal rice to water ratio, as well the correct time for cooking rice. 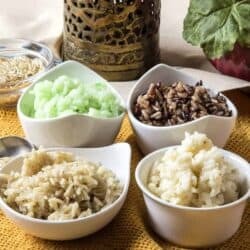 The best cooking videos that combine food science and food chemistry with easy, simple, authentic recipes for the home cook.